River Explorer Boat Tours - Join us on a relaxing wildlife tour, best attraction in Vero Beach. and other wildlife of the Indian River Lagoon. 4 tours a day, 7 days a week. Please book online or call and let us take you on a cruise. Prices include tax, exclude online booking fee. Please arrive at least 15 minutes prior to departure. And see the beauty of Vero Beach by water as we wind our way through mangroves and down along John's Island. Our captain will narrate along the tours, explaining about the wildlife and the beautiful Indian River Lagoon. The one hour tour takes a shorter route and focusses mainly on finding wildlife such as Dolphins and Manatee. This tour is perfect for the younger kids. The Two hour tour takes you all the way up north into the John’s Island area. Here you’ll see Bird Island and cruise along the elegant mansions on the water. 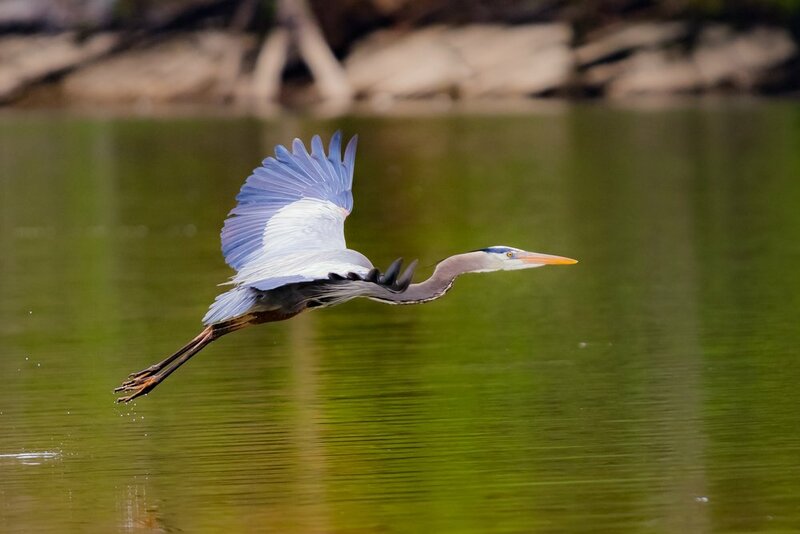 This longer tour offers a wider variety of wildlife sightings like Dolphins, Manatee and Birds. Please keep in mind that this is a wildlife tour and therefore we can’t guarantee the sightings of Dolphins, Manatee, Birds or other Wildlife. The Indian River Lagoon is North America's most diverse estuary, with more than 2100 species of plants and 2200 animals. We cruise trough the hart of this Lagoon and search for dolphins, manatee, birds and other wildlife. There’s a good change you’ll see the playful bottle nose dolphins as they surf the wake of the boat or forage for food in the Indian River. And Manatee sightings are also frequent on the River Explorer boat tours. These gentle slow moving giants will often roll over and show their bellies as they cavort in the sun. You’ll encounter a variety of birds like the typical wading birds, with long legs and bills, that are a familiar sight to the lagoon. The Heron, Roseate Spoonbill, Egret and Ibis can be seen year round. 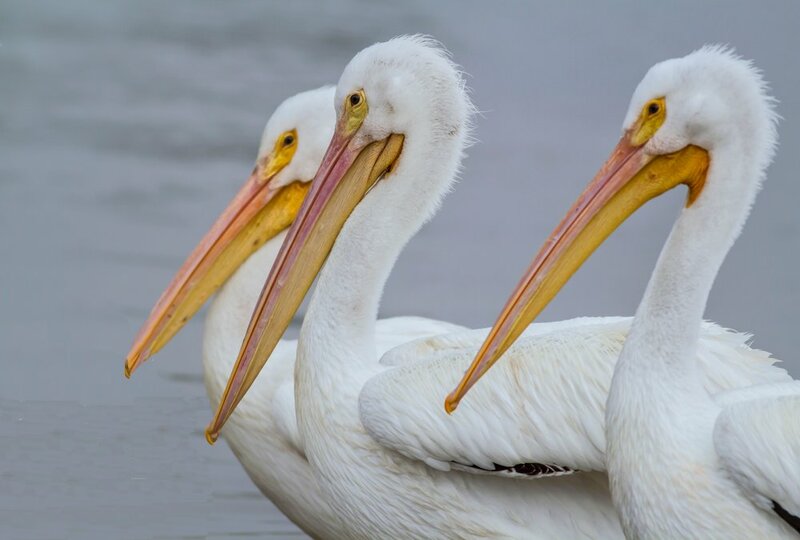 The white pelican visits the treasure coast from November through April. Our two hour tour takes you to Bird Island, one of the breeding islands for many of these birds. The River Explorer Boat is a great location and unique attraction for any event. We are famous for our holiday themed tours. But whether you celebrate a birthday, anniversary, wedding, company party, family day or any other event, a party on our boat is guaranteed fun. You may bring drinks and food and decorate the boat or let us organize the event for you. The cost is $250.00 per hour (excl. food & drinks) with a minimum of 2 hours. If you charter the boat, you may bring up to 24 guests. A. Please arrive at least 15 minutes prior to your departure time. This ensures an on time departure. A. All you need to bring is yourself and guests. We do recommend that you bring a camera, if you have one, and wear sunglasses (polarized if you have them). You are more than welcome to bring snacks and beverages if you like. Q. How long is the cruise? A. We now have 2 cruises, a 1 hour cruise and a 2 hour. The cruise is approximately 1 or 2 hours. We always say approximately because sometimes we may be a few minutes late coming back to the dock. Q. Do you have a restroom on board? A. Yes. On a boat the restroom is referred to as the head, and our cruise boat is equipped with everything to keep our guests comfortable. Q. What can we expect to see while cruising down the Indian River? A. 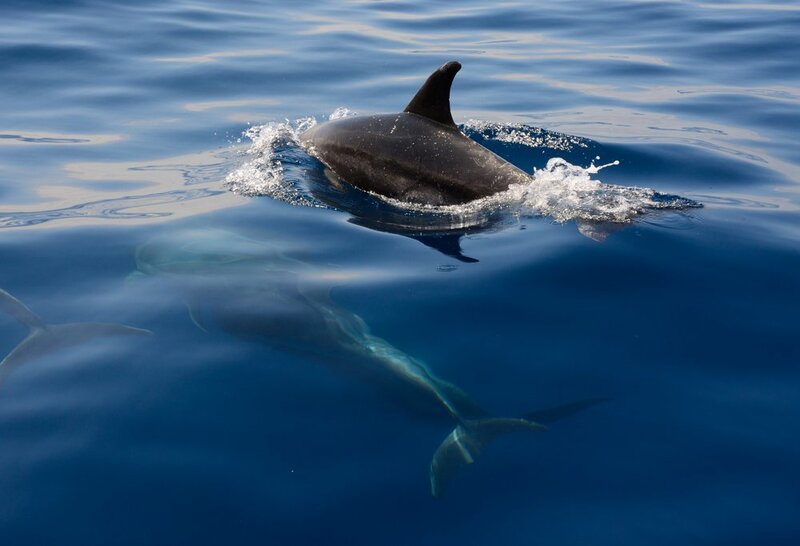 We see dolphin on almost every trip. We also look for manatees, birds, river otters, and whatever else we may happen to see. Every day is different, so we can’t promise what you might see. It is wildlife and it changes every day. A. You park at the Riverside Café in Vero Beach (3341 Bridge Plaza Dr, Vero Beach, FL 32963) and walk to the back of the restaurant where the docks are. We are the large pontoon with the blue roof at the end of the dock. Q. Will we see alligators? A. We don’t typically see alligators because of the salinity of the water. It is primarily salt water and alligators prefer fresh water. We have seen them occasionally though, so there is a possibility. If you want to ensure seeing alligators, we recommend “Gator Bait Airboat Adventures” and we promise you will see alligators. Visit the website at Vero Beach Airboat Adventures for more information. You can call us 7 days a week from 8am till 8pm.